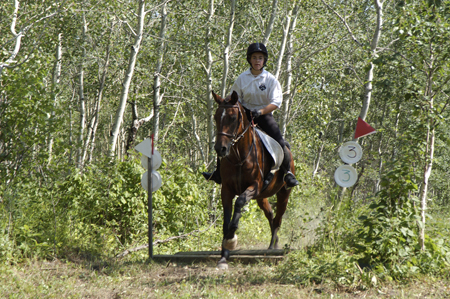 Faeda was a wonderful, experienced lesson horse, providing the "first ride" for many beginner riders at Tyndall Park. 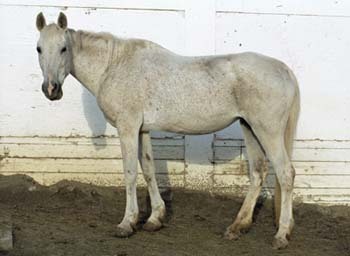 She retired to a farm east of Sherwood Park in 2002. 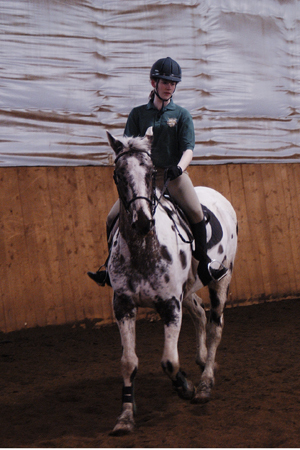 Magic Pony is a well-trained and trustworthy horse for beginner riders. Magic now lives on a farm south of Sherwood Park. Frisco could be intimidating because of his size, but he was an excellent horse for riders of all abilities. 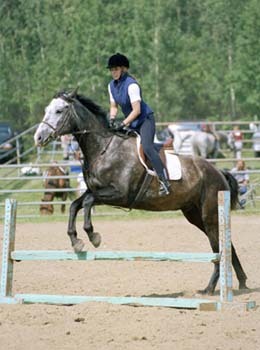 In his prime, Frisco showed successfully in the open hunter ring. His last couple of years were spent happily baby-sitting young horses. He died in 2004. We miss him. Tex is our gentle giant. A product of the breeding program at Tyndall Park, Tex has become a great lesson horse. Very quite and safe for beginner riders, but also a fun and challenging ride for the intermediate rider. He was purchased by Colleen in 2006, and we trust they are having a great time together. 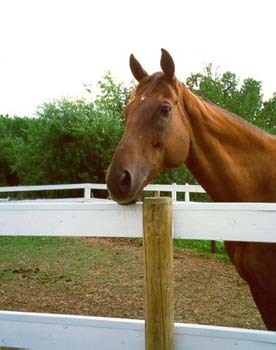 Nacona was acquired in 2005 as a lesson horse. 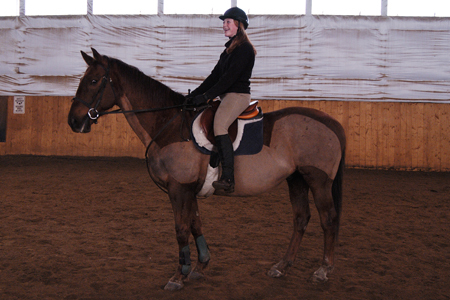 He is very athletic but easy to ride, and was a favorite with our intermediate riders. Nacona was sold in 2006. Nebaskette had a terrific carrer in the Arab show circuit before joining the Tyndall Park lesson string. 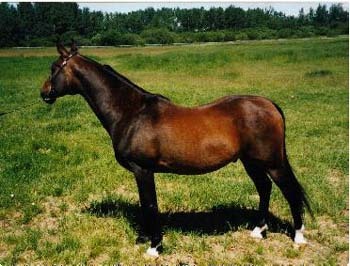 In 2006, she moved to a farm south of Sherwood Park, where she is well loved and cared for.